The framework for the Consultation was given by the proposed ILO Recommendation on the transition from informal to formal economy, which represents a common ground to create new synergies and find more effective solutions at the national level. 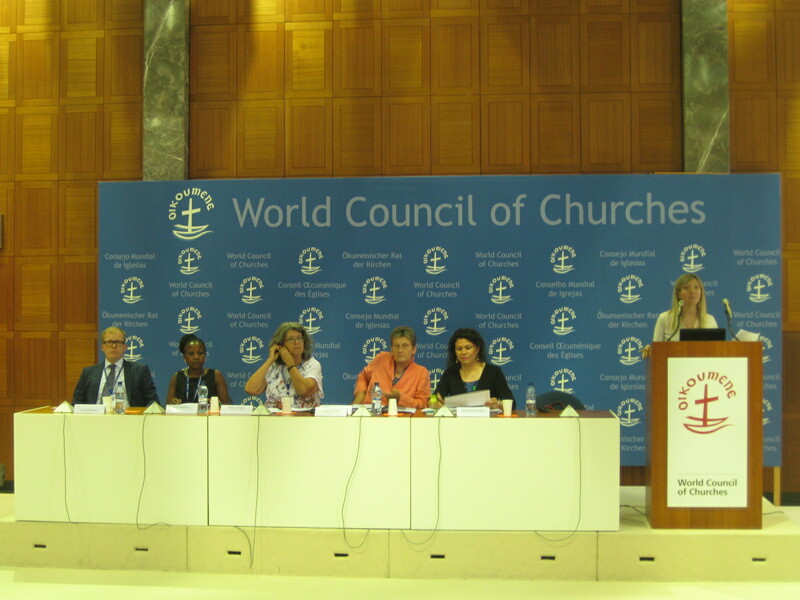 In particular, the Consultation focused on youth, women, and migrants. 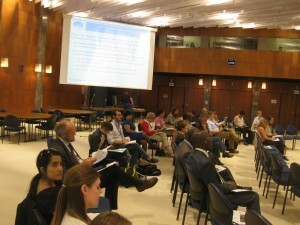 As those groups are often more exposed to the risk of abuse due to their frequent exclusion from the formal labor market and fundamental labor rights, the Consultation constituted a precious opportunity for the Civil Society to shed a light on today’s economic challenges and their impacts on the most vulnerable groups. Since 2010, the CCIG, together with its members and above mentioned partners, has undertaken several initiatives in order to promote Decent Work for different vulnerable groups. 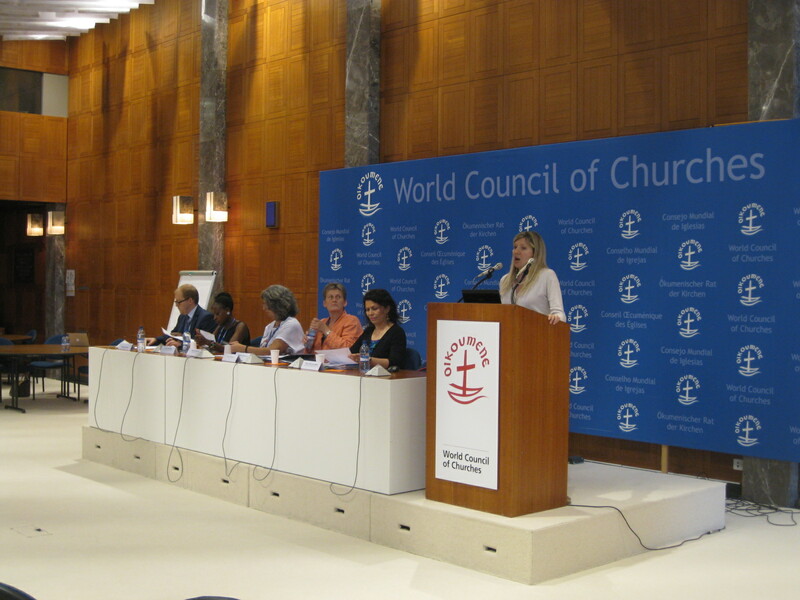 Among these, the CCIG has devoted special attention to the rights of domestic workers. Its and many other civil society’s joint efforts brought as a result that several States have adopted and ratified the ILO Convention on domestic workers. These important achievements have reinforced CCIG’s belief that working together is the only possible way to face global challenges and find effective solutions; the CCIG is therefore convinced that joint actions and exchanges, involving actors with different expertise, are key to tackle current problems linked to the informal economy. Ms. Gloria Moreno Fontes, ILO Senior Specialist on Migration Policy, Ms. Marilea Damasio, WMCW Secretary General, Ms. Prossy Nambatya, Joint Action Committee on Decent Work in Uganda, Mr. Rodrigo Whitelaw, UNIAPAC Representative, Mr. Gianluca Castaldi, Caritas Network, Ms. Fabienne Ferrerons, YCW France, and Ms. Suman More, KKPKP, delivered extremely interesting presentations that offered snapshots of the complex reality of the informal economy and brought different and valuable perspectives to the informal discussion. In addition, the afternoon working group exercise revealed to be a useful space to deepen specific issues affecting vulnerable groups, such as migrants and labor rights, youth and education, social security and women. 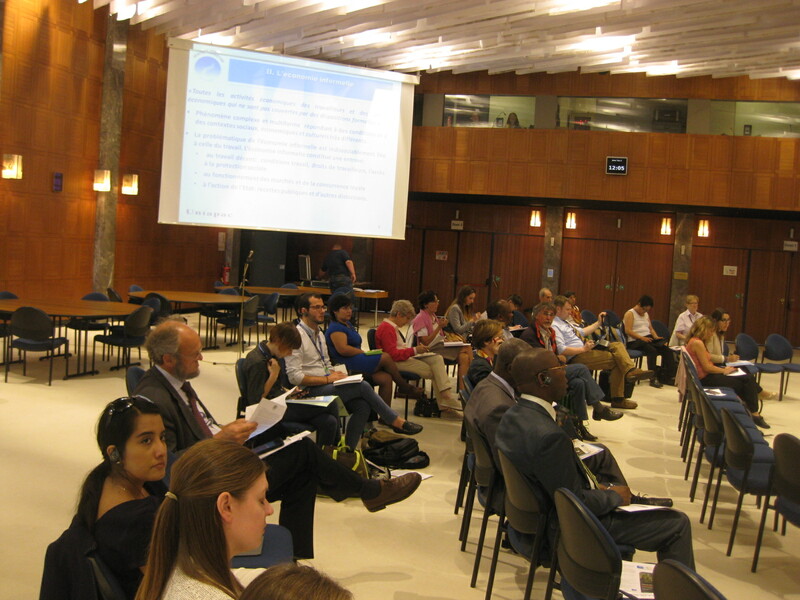 The NGO consultation aimed at fostering dialogue, sharing best practices, and building up common strategies to effectively implement and further support the ILO Recommendation. The result of the consultation has been compiled in an Outcome Document that will be soon released on the CCIG website and shared among CCIG members and partner organizations. No Comments to "From Informal to Formal Economy: Ensuring More Just and Decent Conditions of Work"